DriveTanks.com is committed to providing our clients with exceptional military adventures. When a client cancels without giving enough notice or does not show up for their booking, they prevent another client from being able to book their adventure of a lifetime. Please call us at +1 (830) 351-8265, 48 hours prior to of your scheduled appointment to notify us of any changes or cancellations. If prior notification is not given, or is given inside of 48 hours of your scheduled appointment, all Barracks room bookings and certain DriveTanks.com events will be charged. Appointments that are not cancelled within the 48 hours, will be charged from the credit card that the client has provided. Barracks room bookings will be charged at the full room rate. All other DriveTanks.com bookings will be charged at 1/2 the normal price of each event booked. Any corporate event that does supply a down payment will receive a full refund for notifications that comply with the aforementioned 48 hour rule. 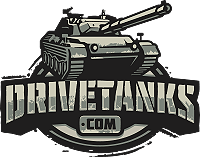 DriveTanks.com reserves the right to make substitutions to any package or individual event due to unforeseen mechanical, weather, or other issues that may present themselves. Substitutions will be of comparable equipment and quantities. In order to use this website to book and reserve and adventure, a user must first complete the registration form. During registration a user is required to give certain information (such as name and email address). This information is used to contact you about the services on our site in which you have expressed interest. At your option, you may also provide demographic information (such as gender or age) about yourself, but it is not required.